As I braced myself to brave the cold outside; for you know the typical winter evening in Buffalo is not exactly your best friend..
As I drowned my tiny frame in sweaters and coats and scarves and mittens..
As I walked for a block and a half, from Tacoma to Hertel, I could not have cared less if there was another Blizzard of 77; for I had serenaded into a different world! 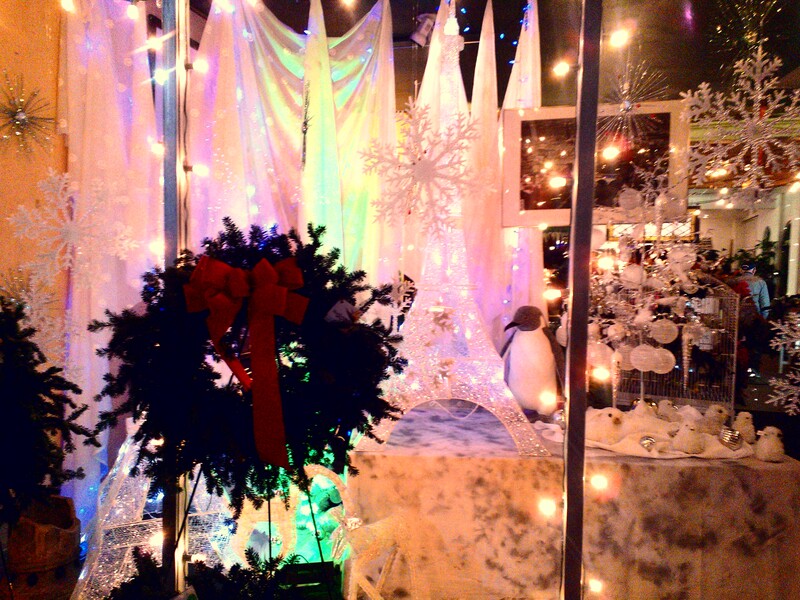 A world where lights line the storefronts.. 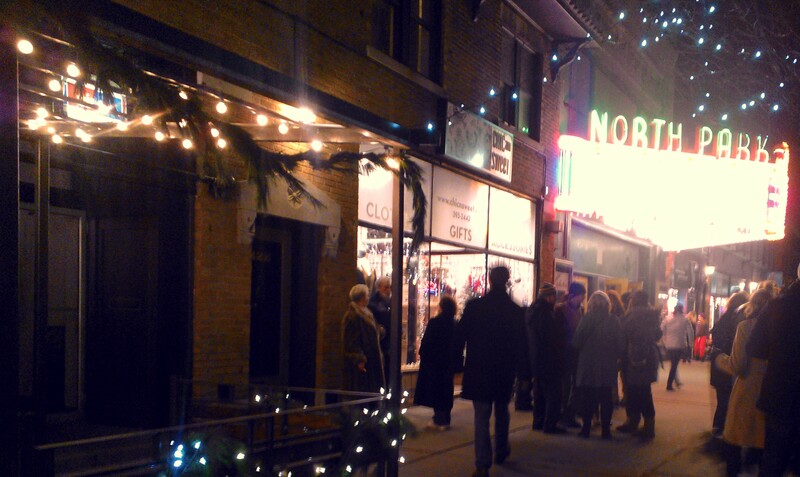 Neon signs glorify a century old theater building..
Carolers Fa La La compliments the gentle jazz.. 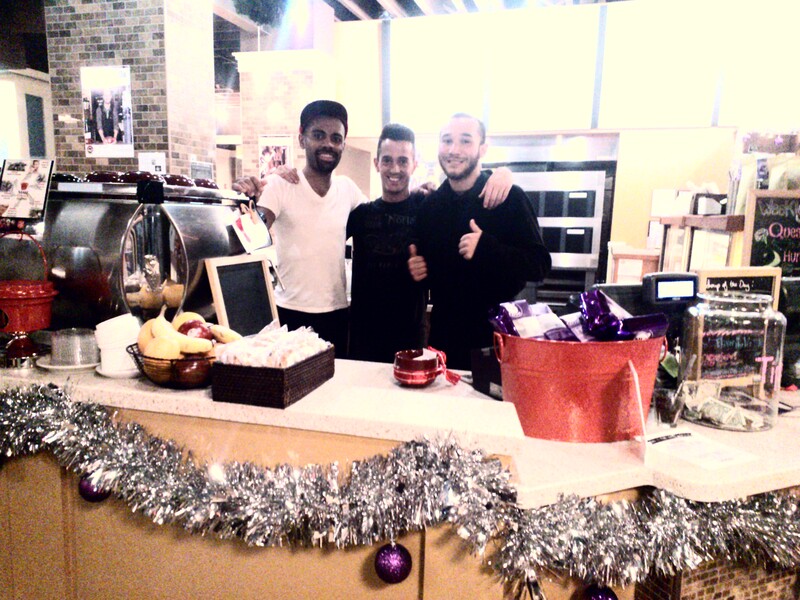 Your lovely baristas strike a pose for your camera..
Buffalo has found a new friend in a festive red stocking, in an artist’s renderings.. 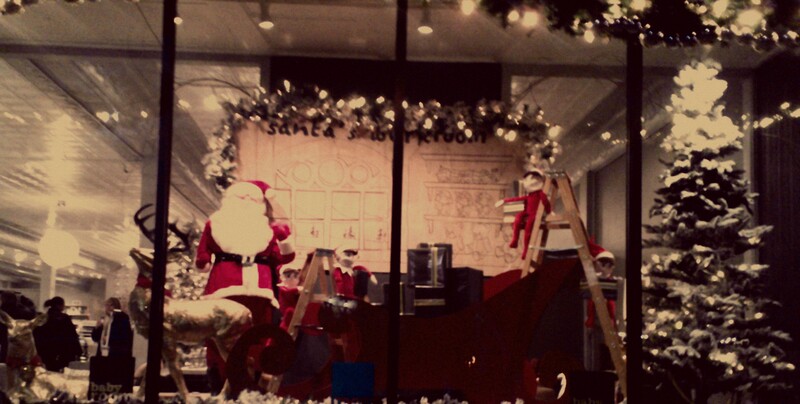 Moon has landed in a store’s display window..
And Eiffel Tower is gleaming in another..
Santa’s little helper is perched on a ladder..
And as far as your eyes can go – the sidewalks are lined with lights, and garlands, and pine cones and Christmas trees, and people galore. They are celebrating their neighborhood! 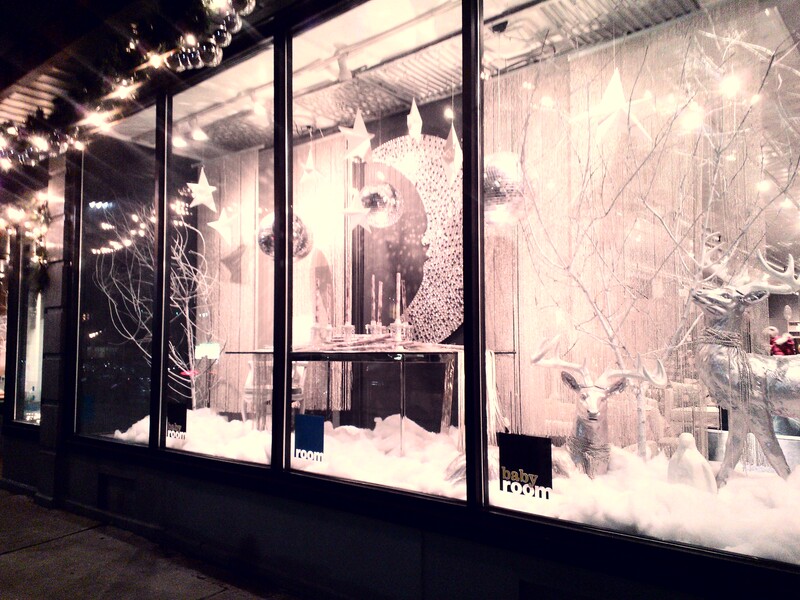 They are celebrating Hertel! 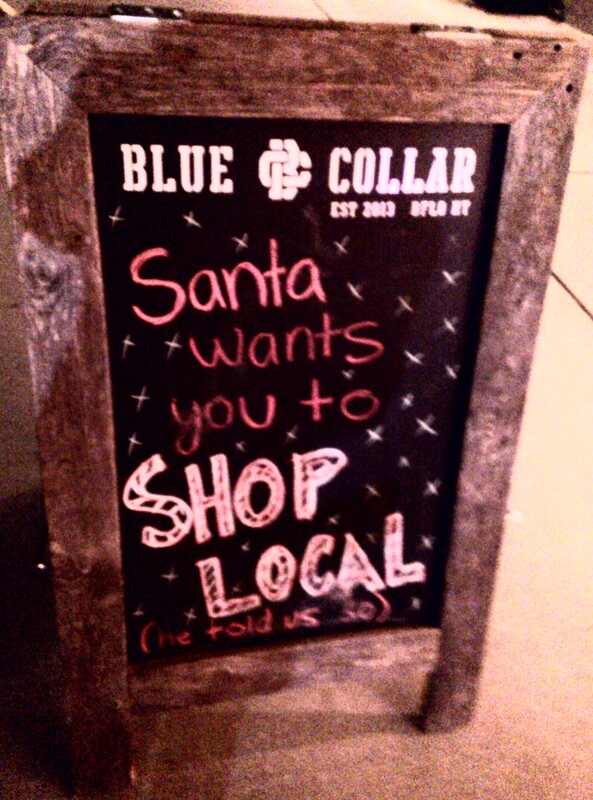 And why shouldn’t they, for if the board outside Blue Collar is anything to go by, Santa wants you to shop local! So this holiday season, let us all Shop Local. Eat Local. 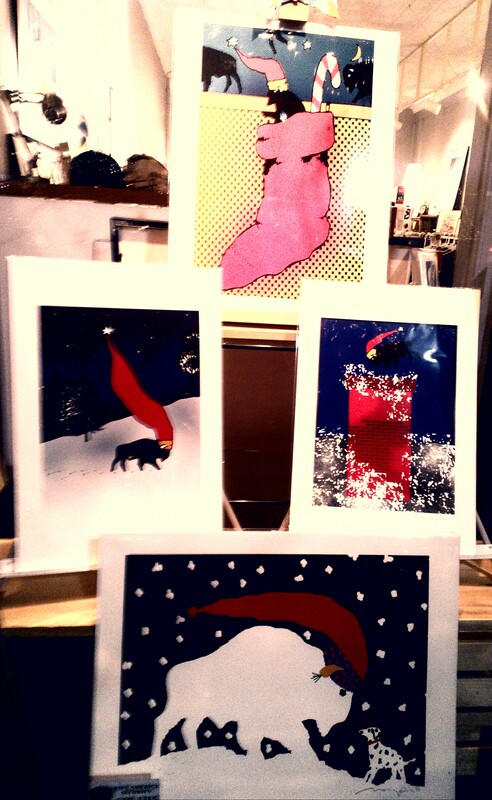 Be Local! Ok I’ll admit it. 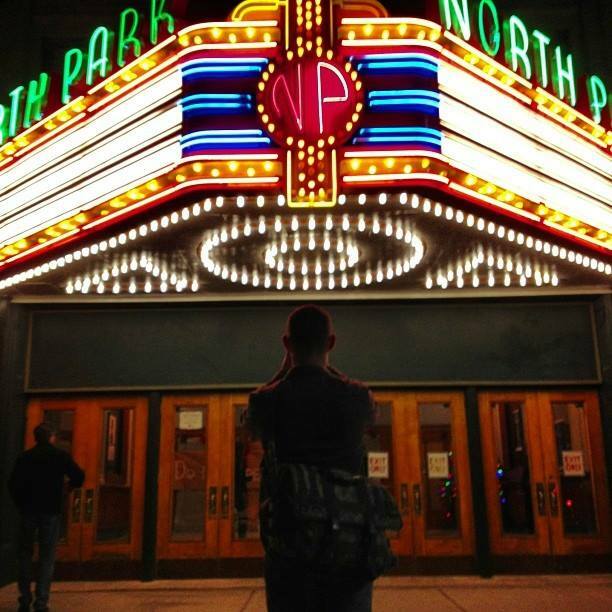 Prior to its closing this past May, I never saw a show in the historic North Park Theatre. Nor did I have the popcorn. An admission worthy of heckling, sure. But hopefully I can keep my North Buffalo stripes because I felt as devastated as any lifelong patron when it went dark. 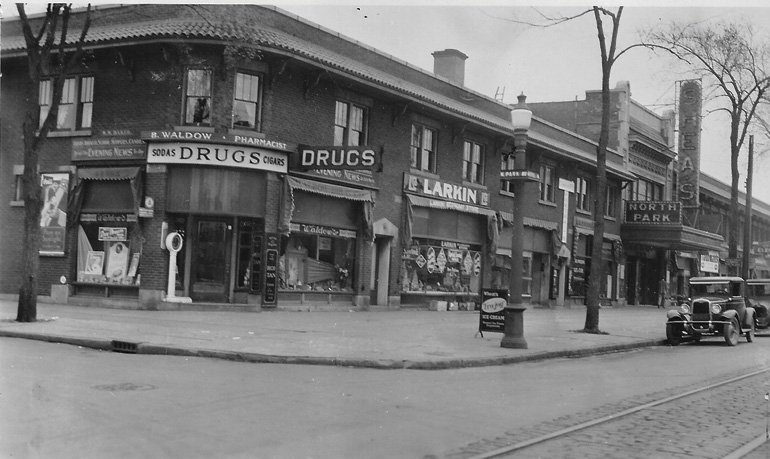 Hertel Avenue without the North Park would be like Delaware Park without the Zoo. 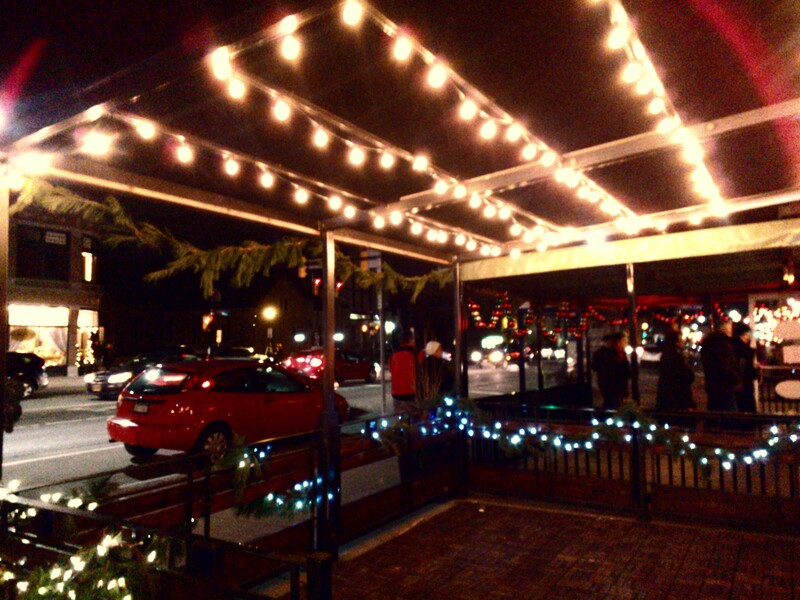 But the return to vibrancy is in full swing, as evidenced by the lighting of the restored marquis this past Friday. Look at the brilliance shown in this image from Kevin McDonough. Buffalo Spree recently posted an article showing the below picture from the 20s or early 30s. Saving the history of this building is just emblematic of everything else going on in Buffalo these days. Wikipedia went on to tell me the theatre opened in 1920. I might be getting ahead of myself here, but I’m smelling a 100 year anniversary party…just like I’m smelling the popcorn. I’m all in now and urge you to be as well. 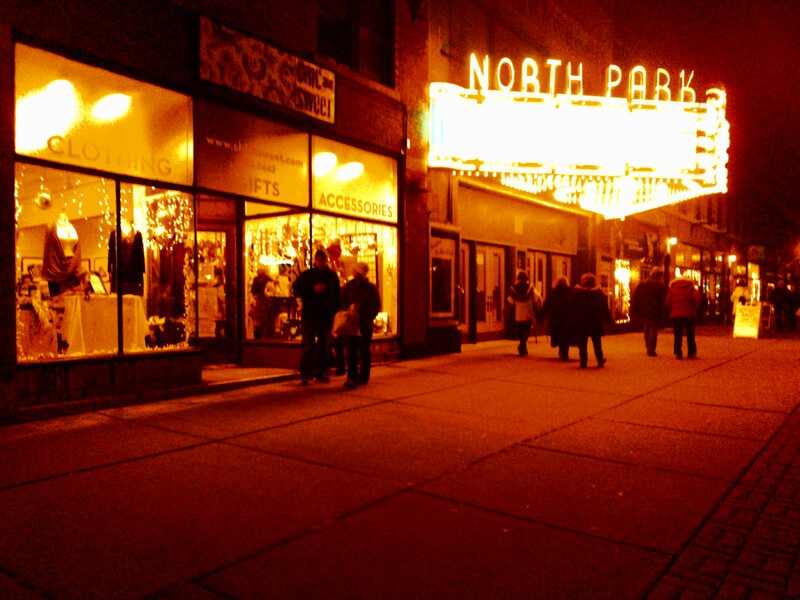 If you haven’t yet, give a “like” to the North Park Theatre facebook page. They’ve been doing a great job sharing progress reports, stories of the theatre’s magical past, and plans for its next chapter. 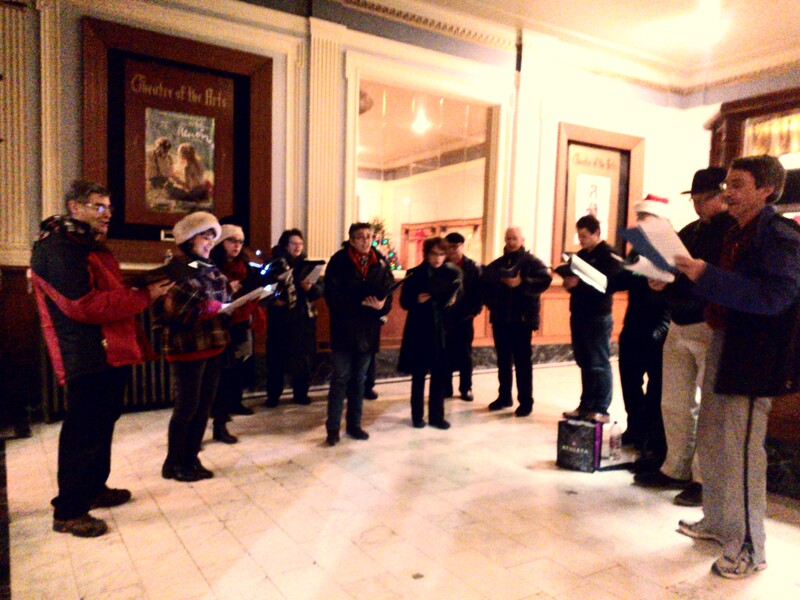 And most notably, there is a fundraising sneak peek gala being held on Friday, December 27. Thanks and kudos to the new owners and theatre manager for making this happen.